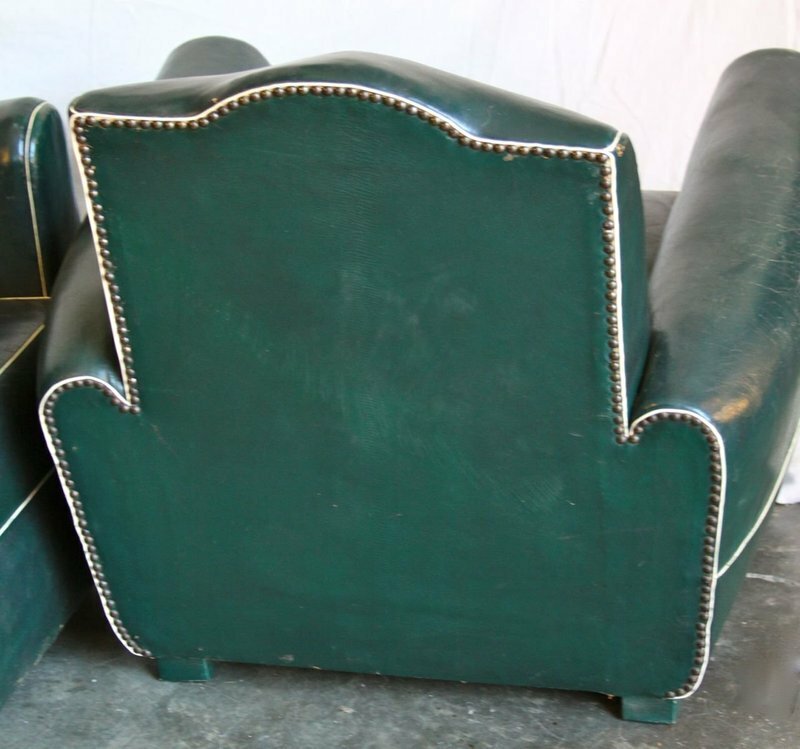 This pair of French leather Club Chairs are quite unusual, They have kind of a Deco meets Streamline feel. They have fixed cushion that are quite firm, but still comfortable. They are circa 1940s.